BBC Asian Network - Panjabi Hit Squad, Move your furniture, it's time to party! Move your furniture, it's time to party! It's Saturday and Panjabi Hit Squad are back for your favourite weekly anthems, classics and love song selections, dedicated to you! Let's get this party started! Panjabi Hit Squad supply you with your weekly Saturday night party straight to your radio. Hear the biggest anthems and classics, all supplied in their usual party vibe! Not forgetting about those who are loved up, send us a message during Panjabi 'Hitched' Squad, the special part of the show where Panjabi Hit Squad dedicate love songs to you and the special person in your life. 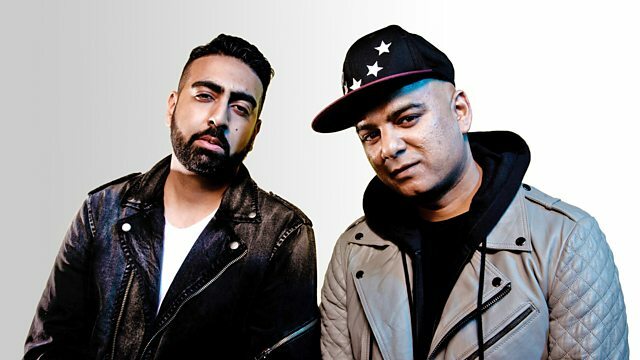 Get involved with the show and send Panjabi Hit Squad you messages via Text 81869 or email hitsquad@bbc.co.uk and you can catch us on Facebook and Twitter @bbcasiannetwork. It's your party on the radio! Ishers and Vee turn up the heat! Alaap & Heera Group Vol 1.